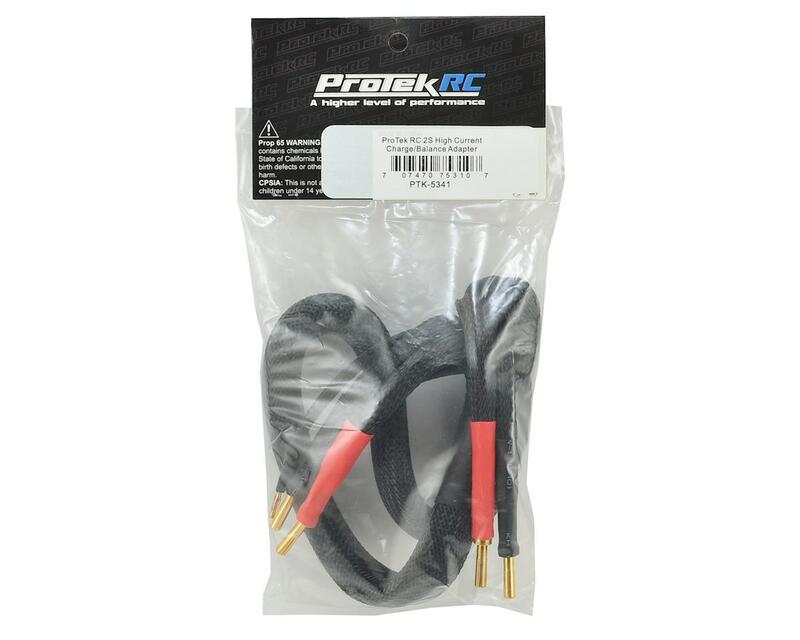 The ProTek R/C 2S High Current Charge/Balance Adapter is the solution you have been waiting for if you charge/discharge your 4mm bullet batteries at higher than normal amp rates, or need a heavy duty low resistance charge cable. 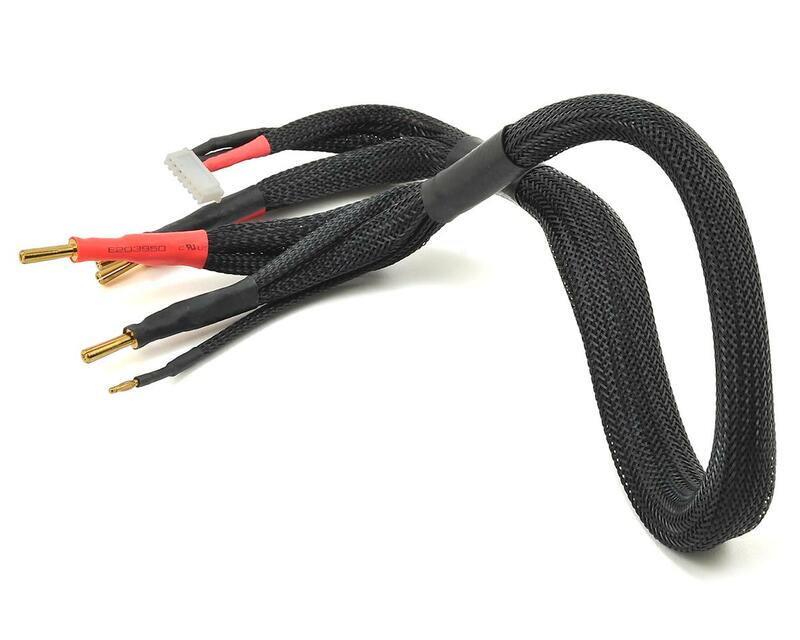 Featuring huge 10awg wire at 24" length, gold plated 4mm bullets for the battery connection and 4mm bullet connectors for the charger connection, with an XH balance tap, this charge cable is one of a kind. The coiled jacket helps to keep the adapter flexible and tangle free and finishes off a package that will keep your work space clean and organized.